Think about who will operate the display. There is no reason why you should not light a display yourselves provided it only contains fireworks in categories 1, 2 and 3 but remember, category 4 fireworks may only be used by professional firework display operators. In untrained hands they can be lethal.Consider whether the site is suitable and large enough for your display, including a bonfire if you are having one. Are there additional hazards such as roads and buildings close by that may be affected by your activities and may mean the site is unsuitable? Is there space for the fireworks to land well away from spectators? Remember to check in daylight for overhead power lines and other obstructions. What is the direction of the prevailing wind? What would happen if it changed? Think about what you would do if things go wrong. Make sure there is someone who will be responsible for calling the emergency services. Make sure you obtain the fireworks from a reputable supplier. If the display is to be provided by a professional firework display operator make sure that you are clear on who does what, especially in the event of an emergency. Ensure you have a suitable place to store the fireworks. Your firework supplier or local authority should be able to advise you. If you plan on selling alcohol the bar should be well away from the display site. On the day of the event: Recheck the site, weather conditions and wind direction. Don't let anyone into the zone where the fireworks will fall - or let anyone other than the display operator or firing team into the firing zone or the safety zone around it. Discourage spectators from bringing drink onto the site. Don't let spectators bring their own fireworks onto the site. 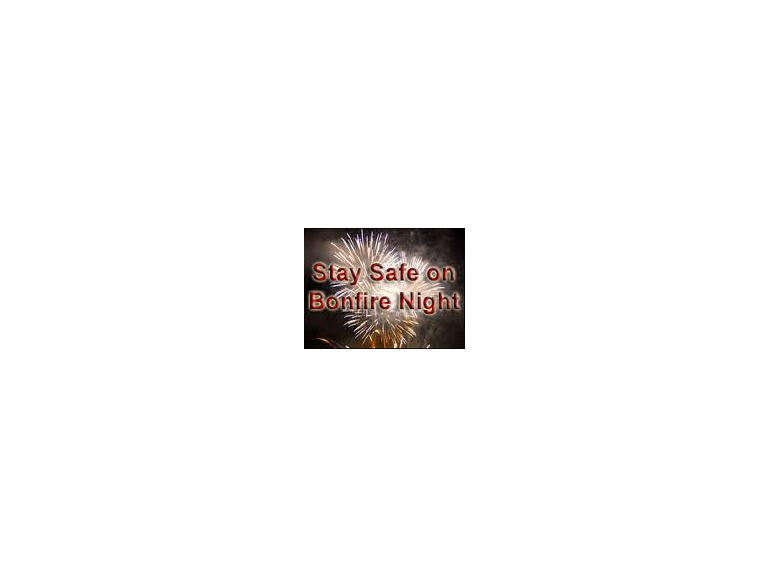 If you will also have a bonfire at the display then you should: Check the structure is sound and does not have small children or animals inside it before lighting it. Do not use petrol or paraffin to light the fire. Have only one person responsible for lighting the fire. That person, and any helpers, should wear suitable clothing e.g. a substantial outer garment made of wool or other low-flammable material. Make sure that the person lighting the fire and any helpers know what to do in the event of a burn injury or clothing catching fire. Never attempt to relight fireworks. Keep well clear of fireworks that have failed to go off. Additional points to consider if you are organising a major public display For major displays, particularly those involving category 4 'professional' fireworks or very large number of spectators, a more robust approach is obviously needed. Read HSE Guidance 'Working together on Firework Displays' and make sure you are incorporating the safety measures set out into your written event plans. This should include to: Plan and mark out the areas for spectators, firing fireworks (and a safety zone around it) as well as an area where the fireworks will fall. Think about how people will get into and out of the site. Keep pedestrian and vehicle routes apart if possible. Mark exit routes clearly and ensure they are well lit. Ensure emergency vehicles can get access to the site. Appoint enough stewards/marshals. Make sure they understand what they are to do on the night and what they should do in the event of an emergency. Contact the emergency services and local authority. If your site is near an airport you may need to contact them Signpost the first aid facilities. The morning after: Carefully check and clear the site. Dispose of fireworks safely. They should never be burnt in a confined space (e.g. a boiler).